So… Anne’s Yuko is slooooowly growing on me. I think I can bring myself to officially like her if the next episode goes well as we are getting more of Yuko’s personality. She’s really such a complex character that you don’t get to delve too deeply into at the beginning of the manga series, but you realize later how much depth and feeling she has. I love Yuko-san. 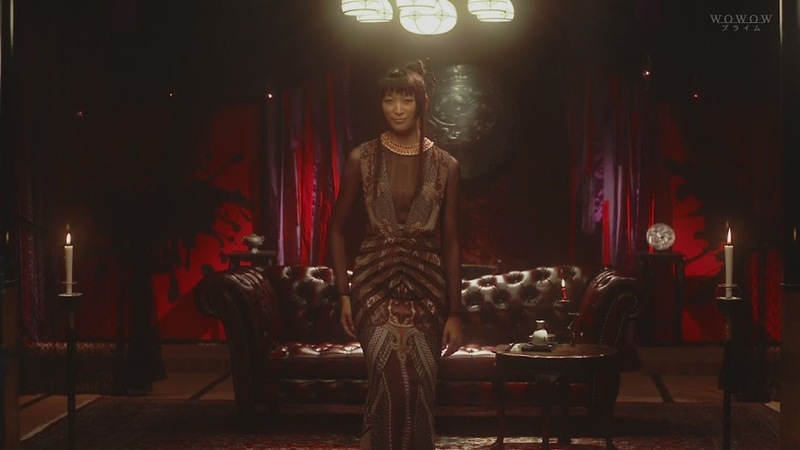 Oh… and I REALLY love the costumes that Anne wears. It’s nice to see some of these crazy designs from the manga and anime come into real life. So pretty. We open not directly where episode one left off. 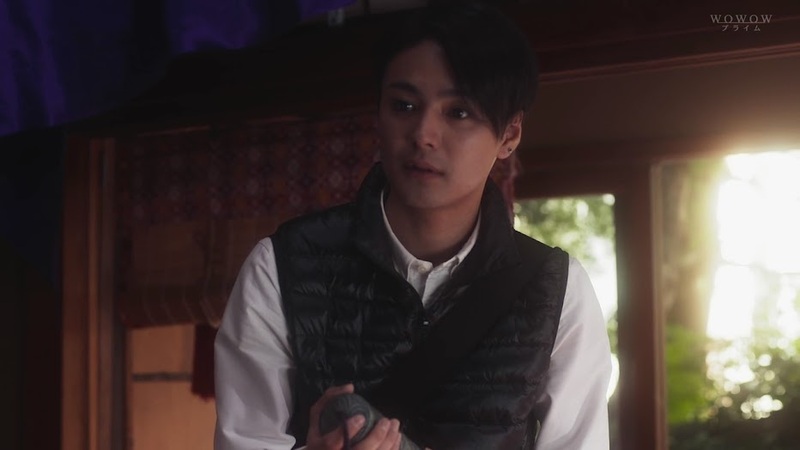 Watanuki is cleaning the store and sorting out artifacts which Maru and Moro are “helping” him with. It’s still weird to me how they are portrayed as little girls. I mean… they always acted like children in the manga, and I’m sure that’s more like what they were… but I didn’t imagine them quite as young, although those two girls are precious. Anywho, Yuko comes out and explains that the room that Watanuki is cleaning is the “Resting Room.” What does that mean? The objects come there until they are connected with their fated person. At this time another person has found Yuko’s shop. We then flashback to the end of the first episode where Watanuki begs Yuko to take away his ability to see ghosts. Yuko agrees and states she will only take fair and equal payment. 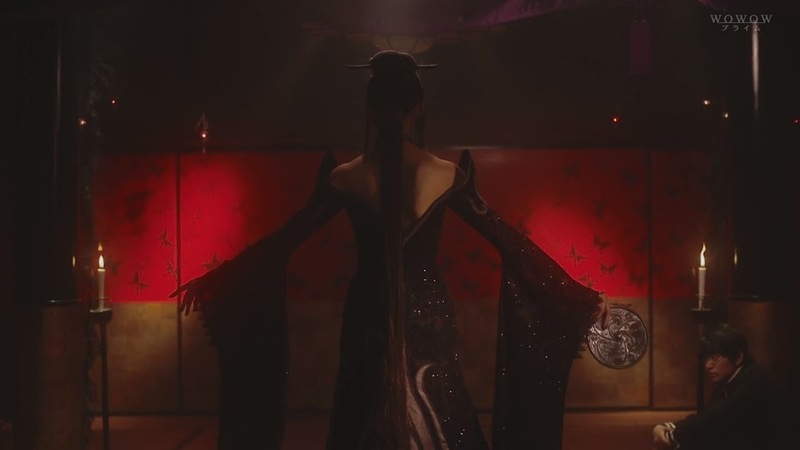 So… what is it that Watanuki will have to pay? He must work at the store part-time until the labor pays off his wish. Maru and Moro come and start clapping and welcoming the part-timer. Needless to say, this exchange does not thrill Watanuki, but he’ll do whatever it takes to have this wish granted. 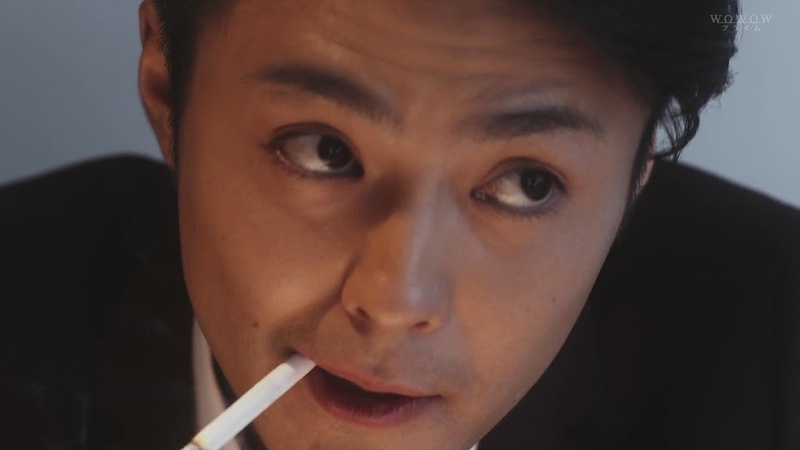 Tsuda [Kimura Ryo—when will he get a leading role in a drama?] 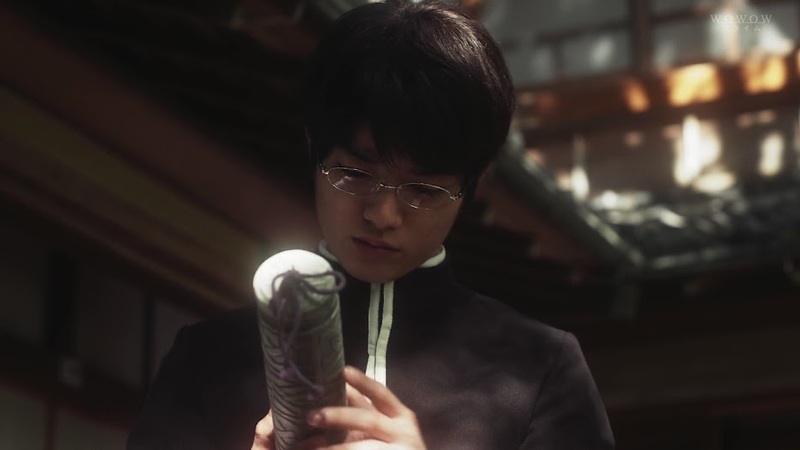 comes upon the cleaning Watanuki and immediately takes the tube he was cleaning out of his hands. Tsuda is excited as he can tell its an old and rare find. He’s into history, folklore, and mythology and would really like that tube. Yuko tells him that objects and humans have an affinity and it’s better that he does not take the tube. Tsuda replies that he is a very lucky person and always gets what he wants and he wants the tube. Yuko, without hesitating, grants his wish. What is the price this time? Tsuda must promise to never open the tube. 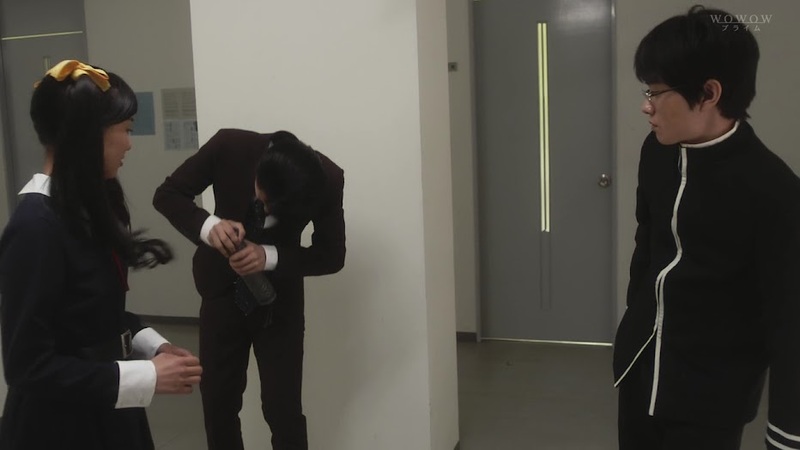 Tsuda says that he’s very lucky and then pretends to open the tube before laughing it off. On his way to school, Watanuki spies Himawari in the distance. He immediately tenses up and recalls the accident and Himawari running away from him after slapping his hand away. When she turns around, Watanuki is surprised by her bright smile. He can’t help but smile happily back at her. She comes over and asks where he was for an entire week. Watanuki can only say he had things to do. He does try to bring up the subject of what happened a week ago, but Himawari says they will be late and grabs his hand and starts running. 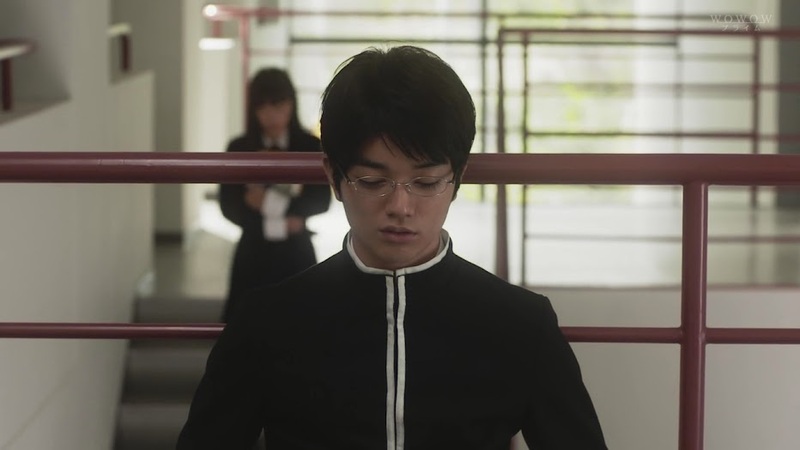 I love Sometani’s portrayal of Watanuki. Normally he has this slightly…morose and uninterested look on his face, but how quickly it brightens into a purely happy (and not horribly dopey) smile when coming into contact with Himawari (who seems slightly more gloomy here than she did in the manga). 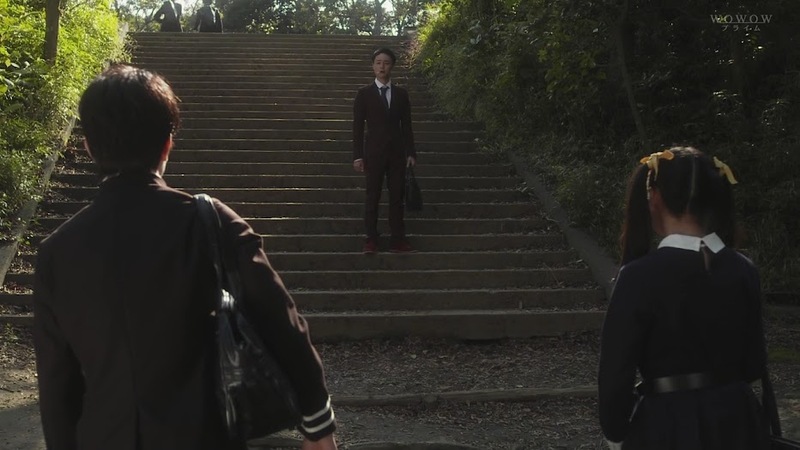 The two get to the stairs leading to their school and wouldn’t you know they come across Tsuda dressed in a suit. 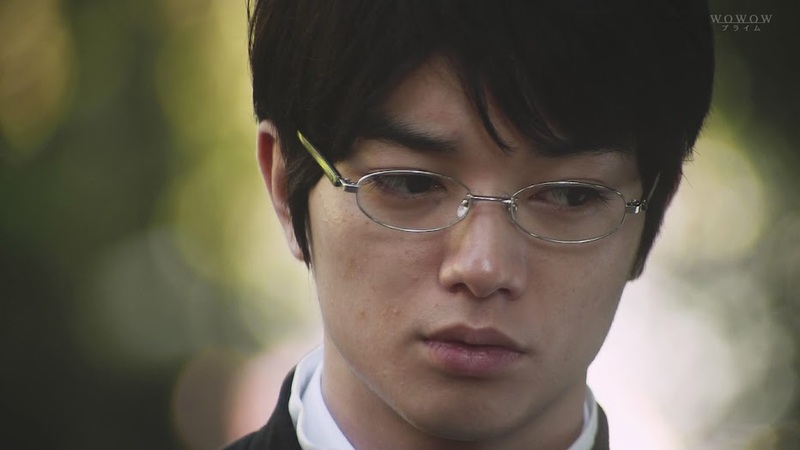 He greets Watanuki as “part-timer” and tells him that he is a teacher at their high school now. Himawari is amazed at the coincidence. 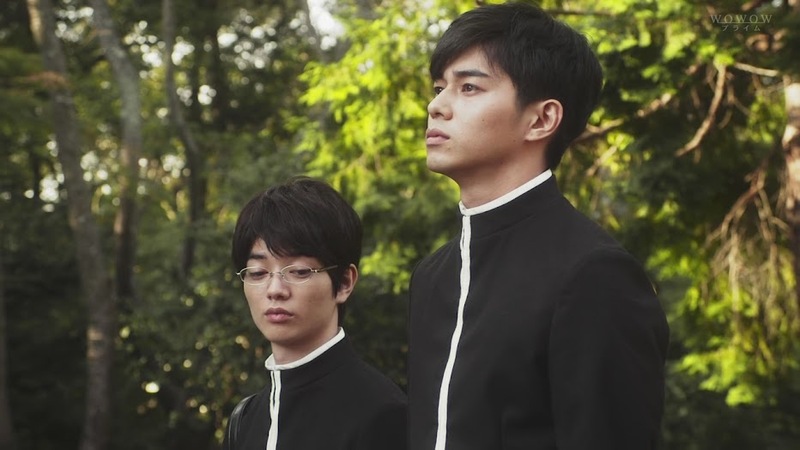 Tsuday is subbing for the history teacher who had suddenly taken ill. Tsuda has brought he tube with him to school and tries to get Watanuki to tell him the secret of opening it. 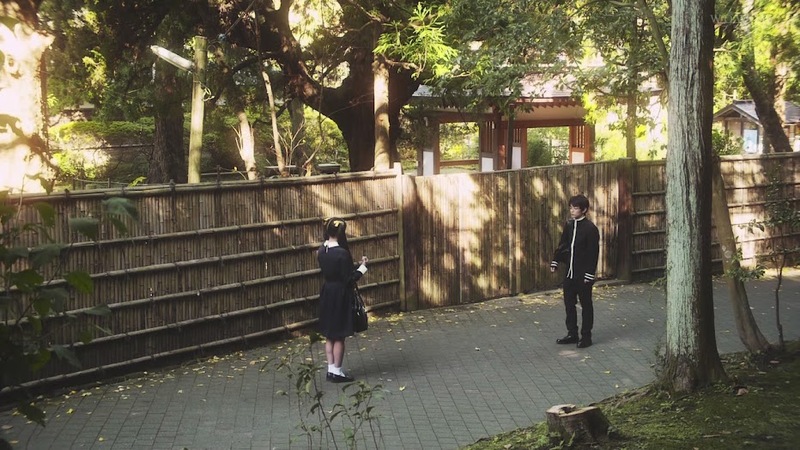 Watanuki replies that Tsuda had promised Yuko that he wouldn’t open it. Now…did he really promise Yuko? He then lets Himawari hold the tube and tells her that he believes its an ancient puzzle box. Himawari somehow manages to open it and inside is a monkey’s paw! Okay. For those who don’t know, there is a mythology about a monkey’s paw being able to grant wishes—much like the genie in Aladdin’s lamp. The wishes are limited to the number of fingers on the monkey’s paw. In folklore, nothing usually ever good comes out of someone using up all of their wishes on the paw. Okay, so back to the recap. Tsuda wonders if this monkey paw could be real. Given his luck, there is a high chance in his favor. 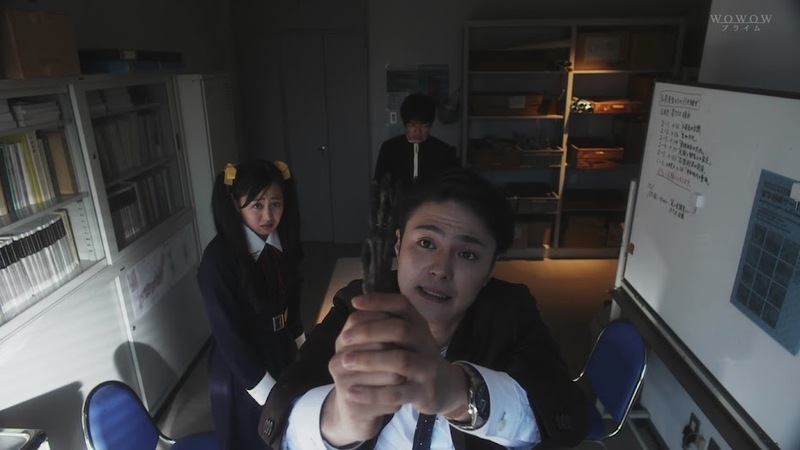 Tsuda decides to test it out, much to Watanuki’s horror. 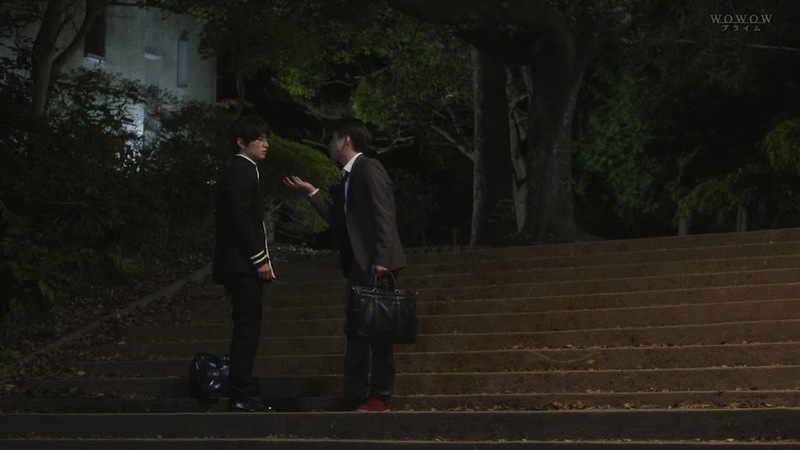 Watanuki chases him around his office trying to get the paw out of Tsuda’s hands, but he fails to do so and Tsuda makes a wish that the marathon in PE would be cancelled (since he would have to run with the students). At first nothing happens and Tsuda thinks it’s just a dud, but then a crack is heard. The three look at the paw and one of the fingers has broken. The sky turns black and thunder crashes. Soon rain starts pouring. The monkey’s paw is definitely real! 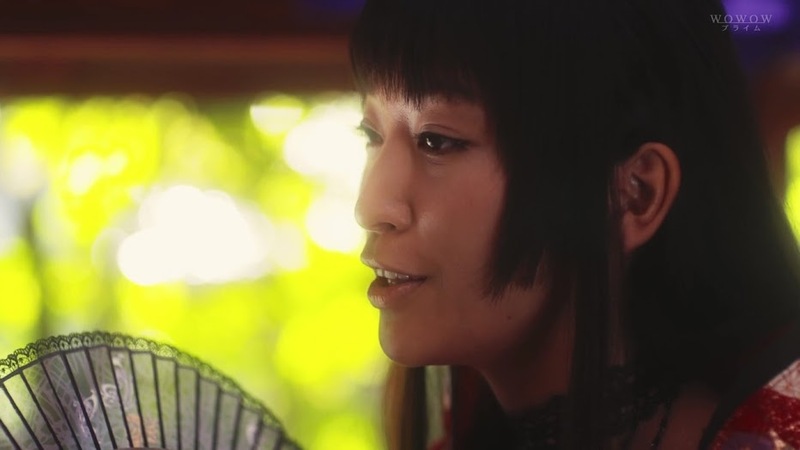 At the shop, Yuko is happily drinking sake as Watanuki tells her about what happened. Does she think it was a mere coincidence? Of course not, that paw is the genuine artifact. 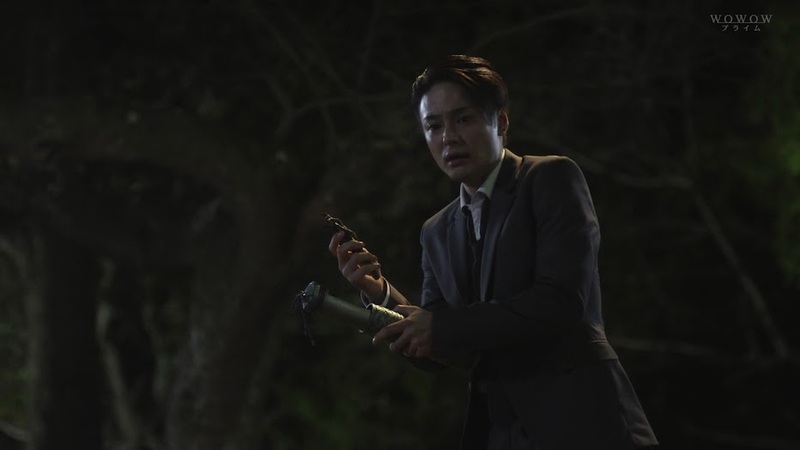 Yuko had a feeling that Tsuda would open the tube as he overestimates himself. Watanuki replies that Tsuda doesn’t do anything good. That’s right. He’s a cocky arse who thinks the world revolves around him. Watanuki then wonders why Yuko gave him the tube. She has to grant his wish since he was a visitor to the shop. Watanuki doesn’t like this explanation. Yuko then asks for a type of sake with grilled fish fins. Watanuki annoys this requests and asks Yuko how long he’ll have to work in the shop in order to get his wish. Yuko stops her lounging on the couch and says superficial labor can in no way counterbalance such a wish (basically meaning it will take quite a while). She then snaps her fingers and Maru and Moro coming rushing in and pull Watanuki out to make Yuko’s requested Hirezaki. 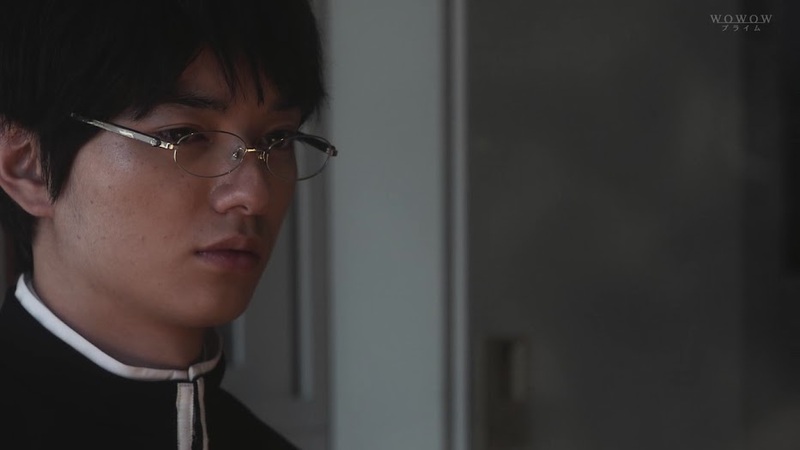 After they leave, Yuko says that Watanuki will soon realize that nothing can be created from nothing. Ahem. Pardon NeeNee’s randomness. At school the next day, Watanuki and Himawari are eating lunch together on the stairs. Apparently the water from the pond by the school was completely drained of water overnight. Such things just aren’t possible are they? Watanuki replies they aren’t. Enter Domeki as they start talking about whether or not the monkey’s paw is to blame. Domeki things that it is. Watanuki asks how he knows this and Himawari replies that she tells Domeki everything. Domeki then steals some of Watanuki’s bento, which earns him a scolding while Watanuki happily allows Himawari to help herself. Got to love double standards. Enter Tsuda who is over the moon about the paw being real. He shows off the Rolex he found on the street after he wished for it. He will have money and power. Tsuda then turns to Himawari and asks her to go out with him. Himawari refuses, but Tsuda keeps pestering her until Domeki lands a punch which sends the sub sprawling. Domeki, blank faced, says he was trying to kill a fly. Riiight. Tsuda’s buzzing was getting annoying. 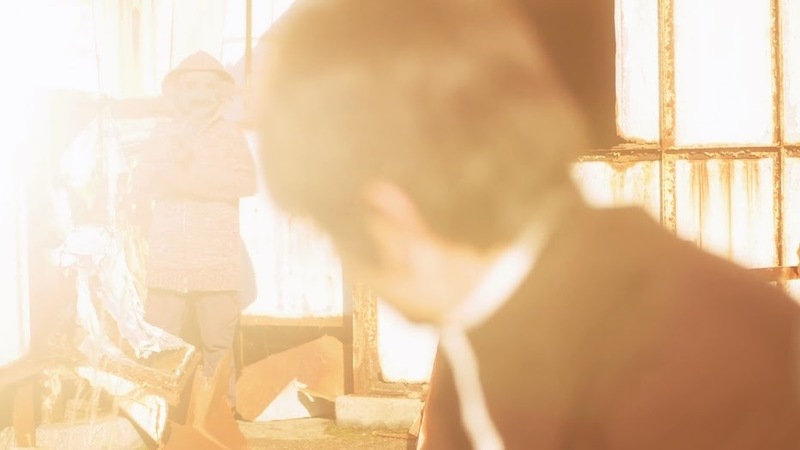 Watanuki sits on the rusty rooftop brooding when a ghost shows up. He cannot see the ghost’s face, but it starts laughing at him. Annoyed, Watanuki throws an empty can at it and it disappears. 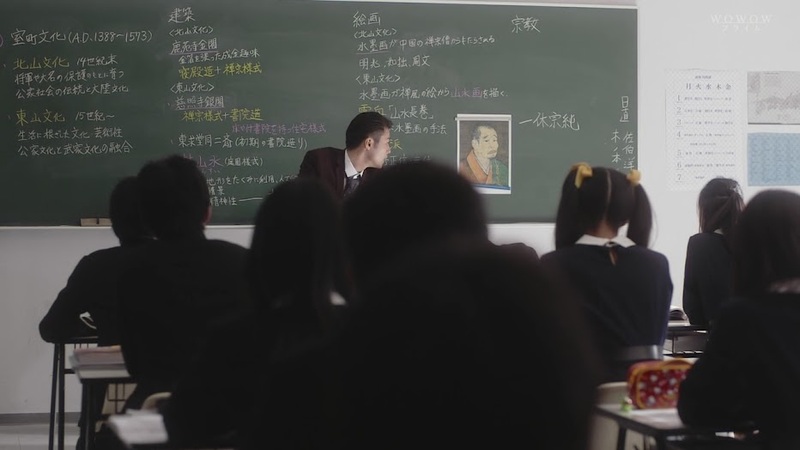 Later that night, Watanuki waits for Tsuda who tells him that his substitute position got prolonged because he wished to continue the job longer and thus the teacher’s oxygen mask mysteriously came off. Watanuki cannot believe this. 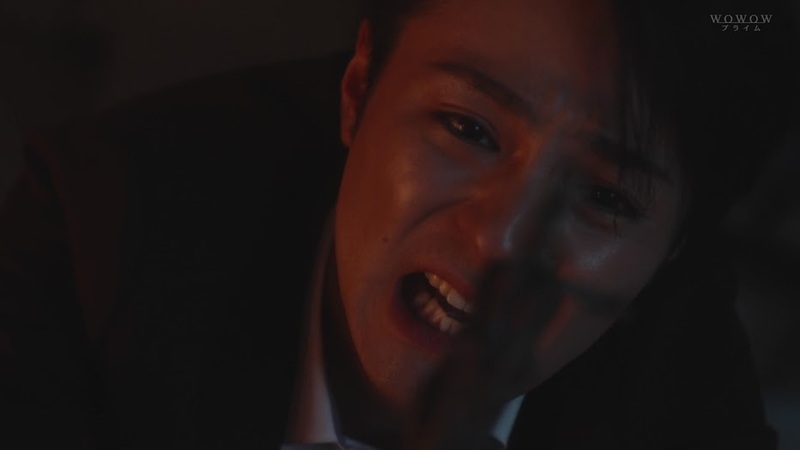 He demands for the tube back and Tsuda just laughs. He does hold out the paw and Watanuki lunges for it, but cannot get a hold of it. 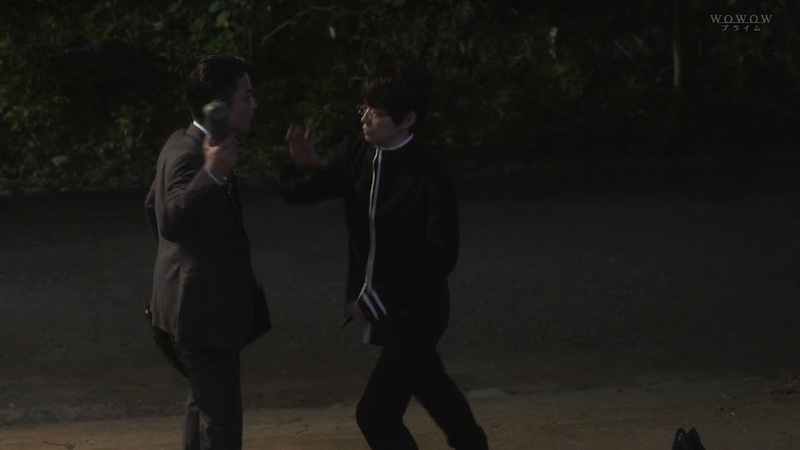 Tsuda then punches Watanuki and vows to make Domeki pay a thousand fold for the earlier mishap. Tsuda also vows to get Himawari. Watanuki painfully pulls himself to his feet when a police officer peddles up. He asks what’s going on. Tsuda is annoyed by this and tries to leave, but the officer won’t let him. Tsuda tells him to “go to hell” and next thing you know you hear a snapping sound and the officer is sent flying backwards. 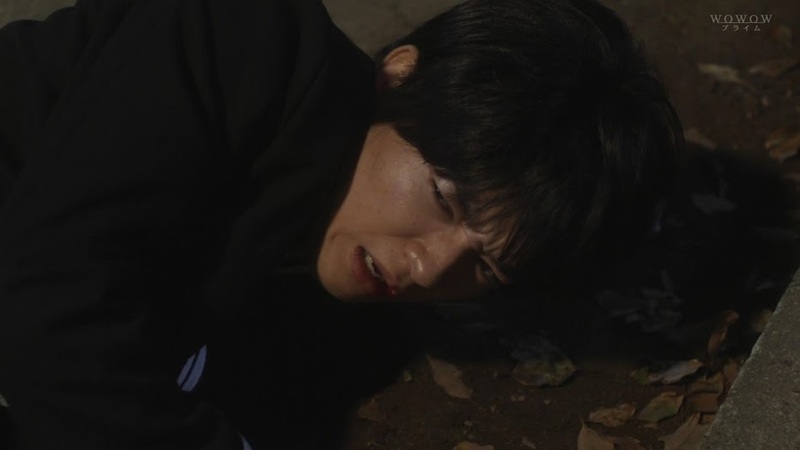 Watanuki rushes up to see if he’s okay, but the officer is dead. Tsuda pulls out the paw and cannot believe that counted as a wish. He beats a hasty retreat. 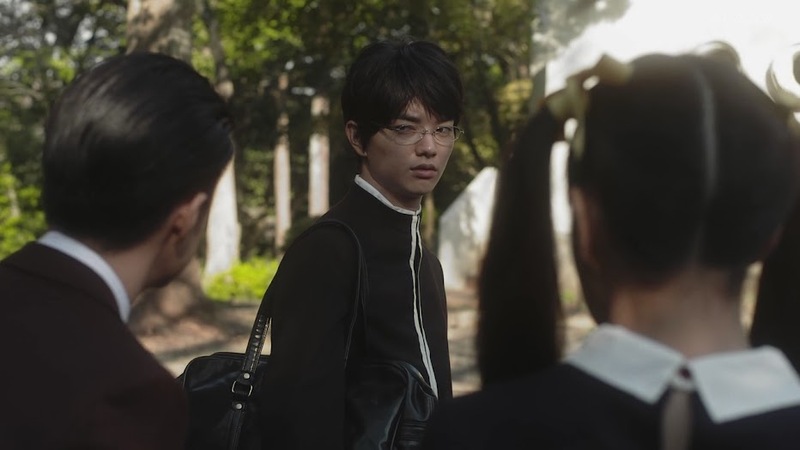 The injured Watanuki goes back to the shop where Yuko tells him that nothing can come from nothing, so everything Tsuda got was some type of exchange. 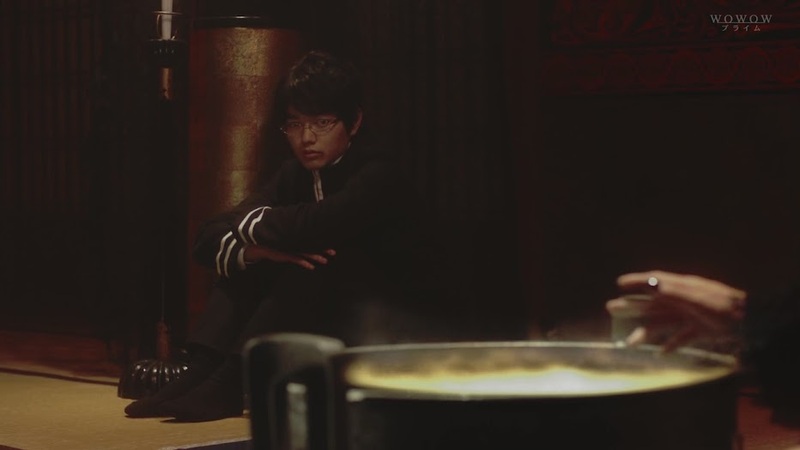 I must say seeing Watanuki huddled in the corner all beaten up makes me want to take him home and take care of him like a puppy. 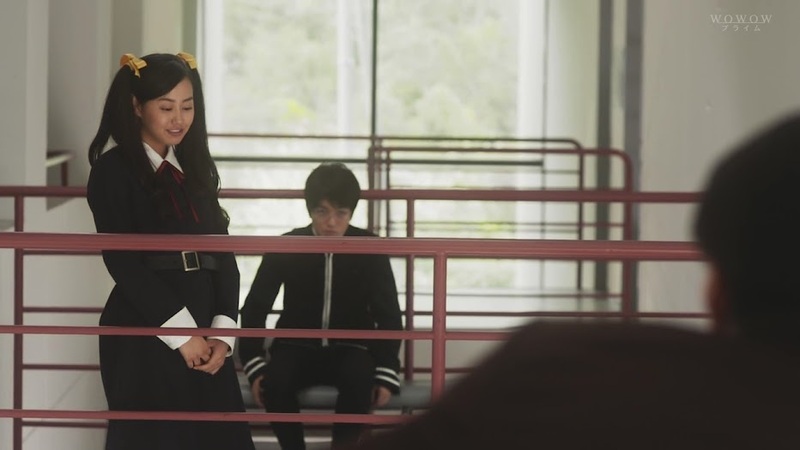 She then spies on Tsuda. Police are waiting to question him. Tsuda immediately runs away and locks himself in his office. The police bang on the door and he swears that the officer fell on his own. He then lunges for the paw that was locked in his desk drawer. He takes it out and demands that everything be erased. The last finger on the paw breaks and attaches itself to Tsuda’s hand. Tsuda is then strangled to death by the monkey’s paw. While this is happening, Watanuki is again feeling pain. 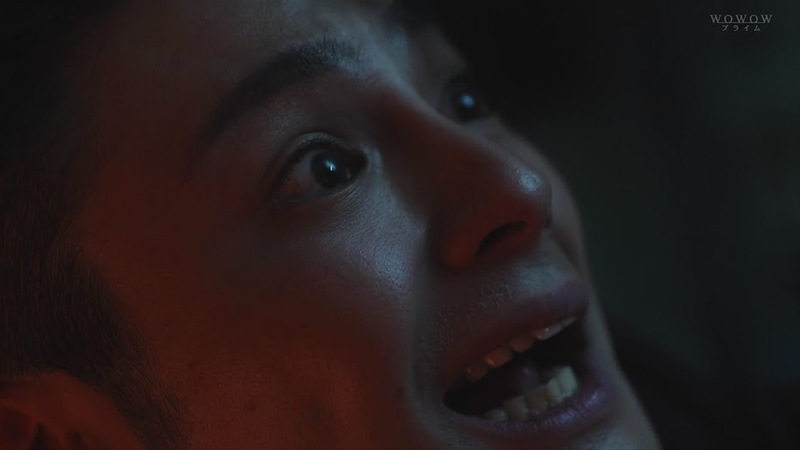 They don’t come right out and express that the spirits make him ill in the drama like they did in the manga, but I’m sure they think its pretty much a given when you see his reactions to certain events. Yuko then quickly wipes the image away as Watanuki doubles over. At this time the monkey’s paw reappears in the shop. 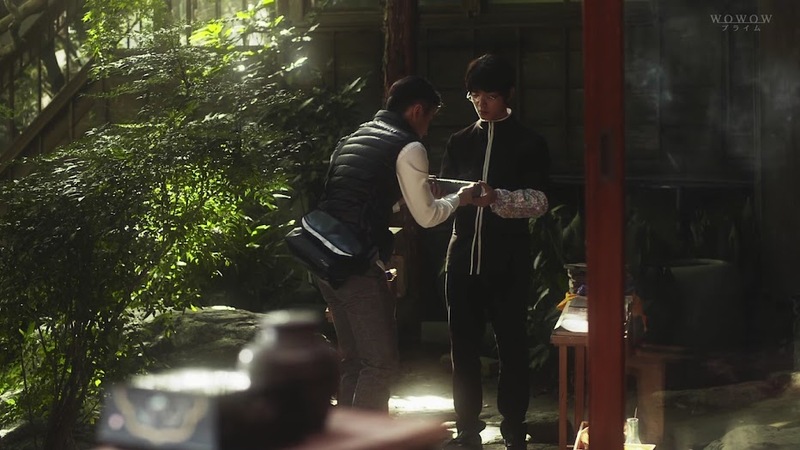 Yuko picks it up and the young man then asks if everyone ends up like that because of the value of their wish. Yuko tells him there is no special thing anywhere in the world and that people forget that fact. The next day as Watanuki heads to school he sees one of Tsuda’s cigarette butts being blown by the wind. 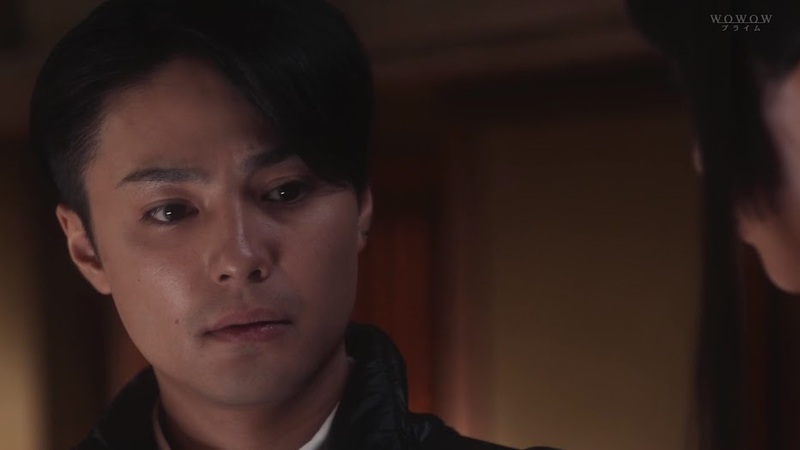 Domeki comes up and asks if Tsuda really committed suicide. Domeki then says there’s been a lot of bad events happening of late. Watanuki says it was a mere accident. Domeki says there is no such things as accidents in this world. Himawari then shouts out to the boys and happily rushes up. Watanuki smiles and vows to pay whatever price he must to become normal. Okay. Now, I must say, while I can never say anything is impossible, I find it highly improbably that they could call Tsuda’s death a suicide. Why? It’s very unlikely that a person could strangle themselves to death with their own hands. Why? Let’s face it, you’d be more likely to pass out before killing yourself. I suppose…with enough lack of oxygen you might make yourself brain dead, but even that seems rather unlikely to happen. Just my two cents. Ahhhh! I can’t wait for the 100 Ghost stories episode! I don’t know why, but I’m excited about it. I also think this is where we might delve more into the plot and the connections between our characters, but who knows? I do wonder if they will show any of the positive stories from the manga. I mean, yes there was a lot of stories with bad endings as humans are foolish and idiotic creatures, but we have Watanuki and Yuko honestly helping people as well. I hope we get a few of those stories. 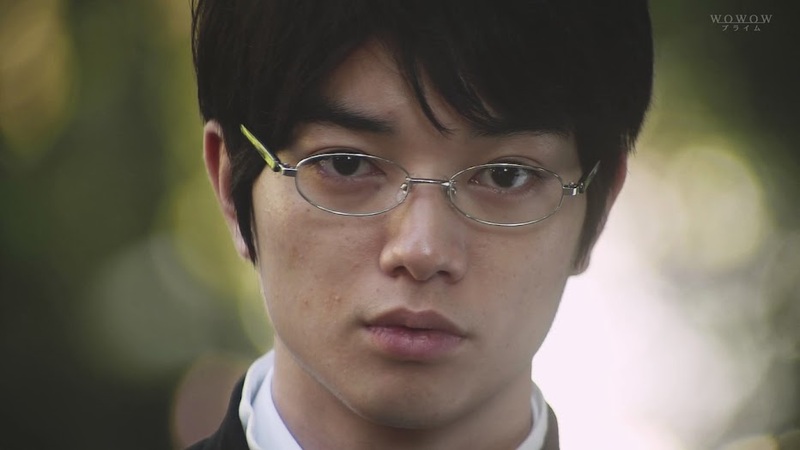 And before I go—props to Sometani and his subtle facial expressions. Seriously. I mean he shifts his expression ever so slightly completely changing the tone and emotion. That takes some made skills! 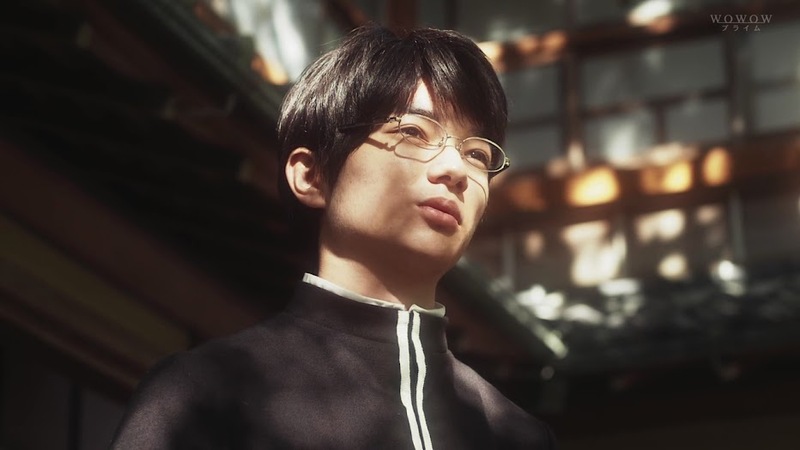 I assumed that Watanuki has some sort of heightened connection to the people who are being plagued by the spirits…so when something bad happens to them, he can feel their pain? Or is it that he is being affected by the spirits themselves and not what they are doing to the people? I totally missed the detail of the monkey hand reappearing at Yuko’s shop. Verrrrry interesting. 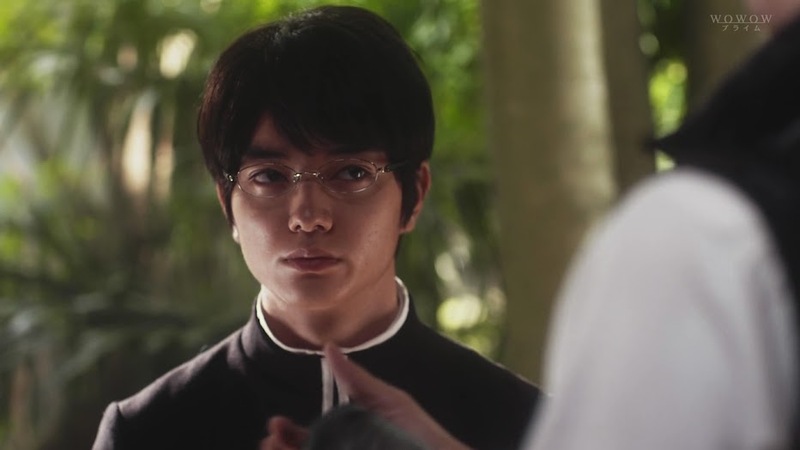 In the manga, I want to say that the spirits themselves affected Watanuki negatively, but in the drama they play it more like he has some sort of connection to those who come to the shop and thus feels the pain, etc. related to them. Yep, Mr. Moneky Paw came home to Yuuko to await his next victim.